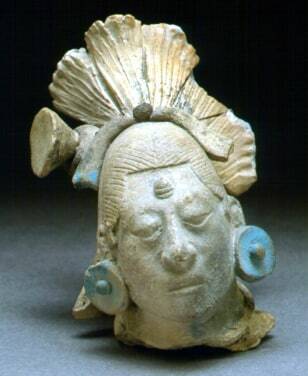 This piece is a figurine head from Jaina Island, Campeche, Mexico, still bearing traces of Maya Blue pigment. It dates to the Late Classic (ca. AD 600-900).